Akshaya Patra is all set to feed its tasty, wholesome mid-day meals to a greater number of beneficiaries in Uttar Pradesh (U.P). 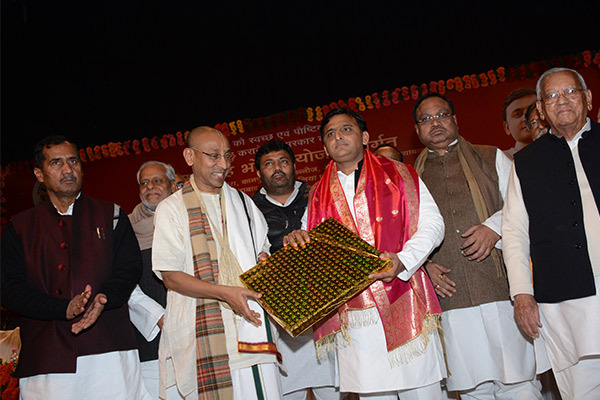 The Foundation will launch 11 new kitchens in the state and the groundbreaking ceremony (Shilanyas) for the same was performed by Honourable Chief Minister of Uttar Pradesh, Shri Akhilesh Yadav on December 26, 2016 at Lok Bhavan, New Secretariat, Lucknow. These new kitchens will be established in the districts of Varanasi, Ghaziabad, Agra, Allahabad, Kanpur, Etawah, Kannauj, Ambedkar Nagar, Azamgarh, Rampur and Ballia. 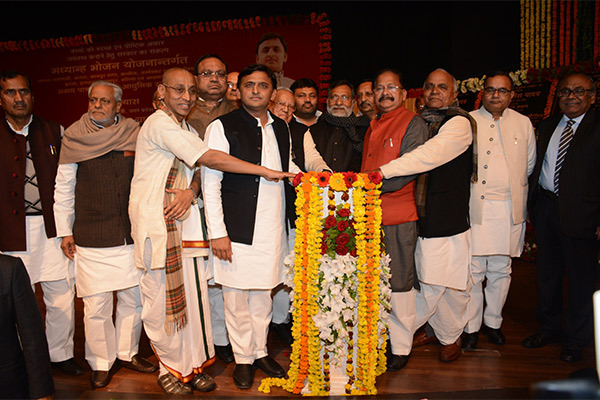 A host of dignitaries were present during the momentous occasion of the groundbreaking ceremony, besides Shri Akhilesh Yadav. 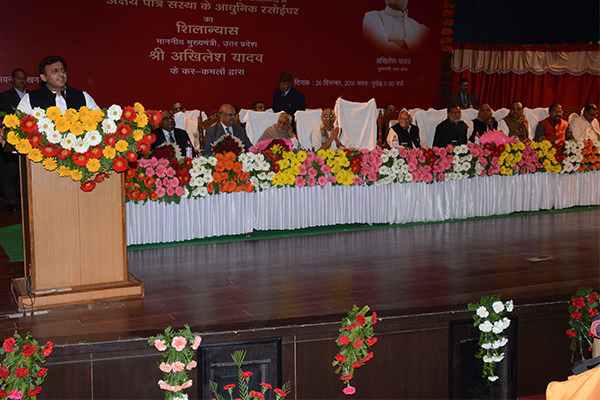 These included Shri Ahmad Hasan, Cabinet Minister for Basic Education; Shri Kailash Chourasiya, Minister for Women and Child Welfare; Shri Wasim Ahmed, Minister for Child Development and Nutrition, Primary Education and Energy; Shri Rajendra Choudhury, Cabinet Minister for Political Pension; Shri Ram Govind Choudhury, Minister for Panchayat Raj; Shri Pradeep Mathur, MLA, Mathura constituency; Shri Alok Ranjan, Chief Advisor to Shri Akhilesh Yadav; Shri Rahul Bhatnagar, Chief Secretary; Shri Ajay Kumar Singh, Secretary, Basic Education; Shri Chanchalapathi Dasa, Vice Chairman, The Akshaya Patra Foundation and Shri Suvyakta Narasimha Dasa, President, The Akshaya Patra Foundation, U.P.